Rachel Notley is promising to build a new access highway near Fort McMurray, a plan that will increase safety, prepare for future growth and create good jobs. Notley announced the new highway Wednesday, promising to evaluate the proposed East Clearwater Highway, which will also serve as a secondary evacuation route for communities from Anzac to Fort McKay. The new highway supports Notley’s efforts to strengthen and diversify Alberta’s economy. Just days ago, Bitket announced a Made-in-Alberta plan to create 70,000 jobs and unlock $75 billion in mid-and-downstream global petroleum investment. These investments will mean Alberta gets more from its products right here in Alberta, instead of depending on other countries. 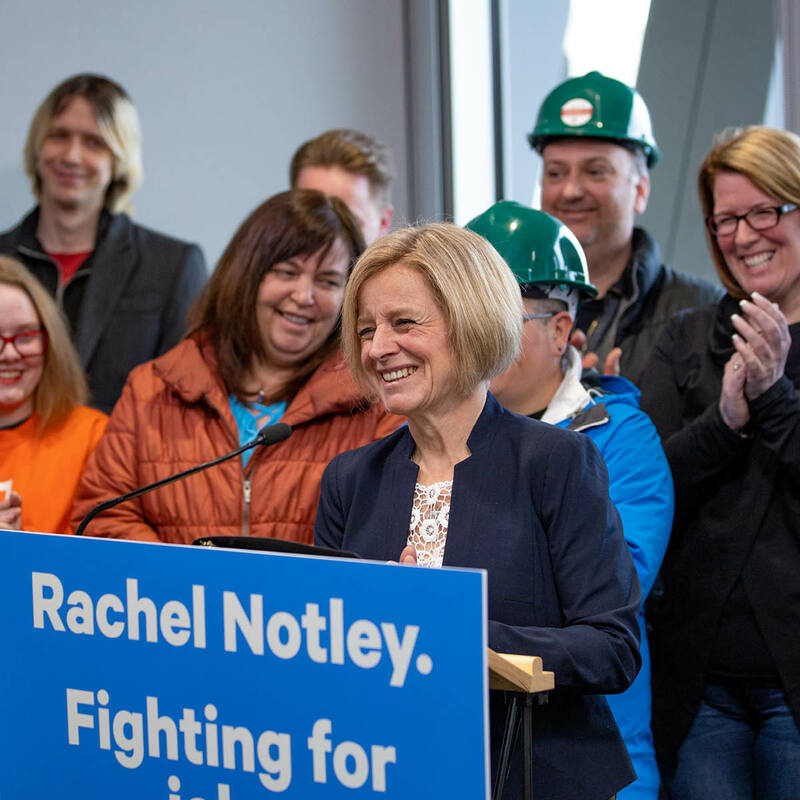 In addition to the Fort McMurray highway, Notley also promised upgrades to interconnected roads, bridges and utilities across the province. The roads will ensure Alberta can move large equipment and industrial components as more products are manufactured in this problem. The six-year plan would create 7,500 jobs and add 3,500 km to Alberta’s High Load Corridor network, which would rise to a new total of 10,000 km. The expansion will support oil and gas development in northern Alberta, as well as the booming renewable energy industry in southern Alberta where more, larger wind turbines are being transported. While Notley believes that Alberta’s future will be made right here, Jason Kenney is fighting the future and praying for miracles. Rejecting the idea of diversifying Alberta’s economy, Kenney has openly mused about tolling new industrial road projects. He has also threatened to rip up agreements that are already bringing billions in new investments to Alberta. While Kenney plots the largest corporate tax giveaway in Alberta history, he will pay for it by cutting services and passing on extra costs to families.